The wait is almost over. The Kindle Fire tablet “will start arriving on customers’ doorsteps one day early,” according to a new statement released by Amazon. 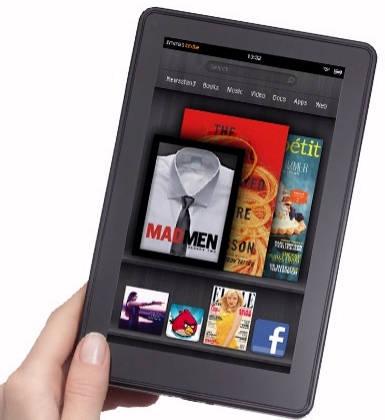 And Amazon also announced that its Kindle Touch will begin shipping out on Tuesday. Of course, the complete article included some caveats. (“It’s not what many expected exactly, but that doesn’t mean it’s not Amazon’s most important product ever,” reads the tagline.) Fortune notes that the Kindle Fire tablet “isn’t a revolutionary device,” but ultimately concludes that it’s most significant feature is the tablet’s integration with Amazon’s “cloud” of downloadable media and other services. “More than any other Kindle before it, the Fire is an initiation into an ecosystem where nearly every service is provided by Amazon.” Saying it’s often “a not-so-subtle initiation,” the article notes how the video library, for example, includes very prominent reminders that many “Instant Videos” are free to Amazon Prime members. Of course, Amazon’s tablet is also $300 cheaper than the iPad, which is the biggest clue to Amazon’s strategy. They want the tablet to be affordable, because they’re not expecting profits just from the sales of the device itself. 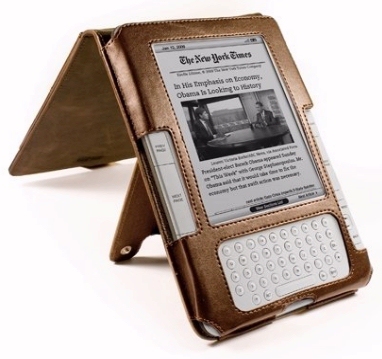 They’re hoping to earn a lot more when those Kindle Fire tablets finally start arriving — so their owners start shopping! Will Amazon’s strategy work? In just a few days, they’re going to find out….